"With its elegant, floral and mineral style, it is easy to identify the aromatic notes of Camus VSOP Borderies: creamy milk chocolate, orange zest and a touch of spice." 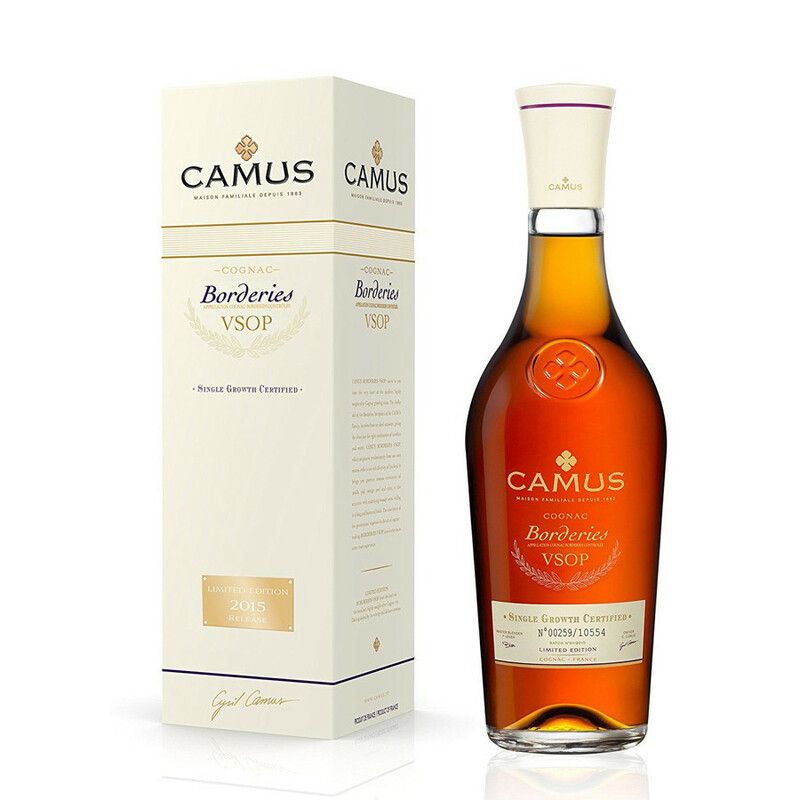 The Camus Borderies VSOP Cognac is, as its name suggests, a blend created from eaux-de-vie solely from the Borders terroir of the region. Most of this comes from the vineyards of Camus - in fact this is a limited edition cognac produced in the year 2014. It's a lively, well-aged VSOP - a versatile cognac that has a lot to offer the drinker. It's ideal neat as a digestif, where the aromas and flavors make the perfect ending to a good meal. Or why not try on the rocks or with a splash of water to subtley change the drinking experience? Beautifully presented in a carafe shaped bottle and box, it's also a great choice as a present for the cognac lover. I had never tasted a Cognac from the Borderies terrroir before, but I'm very pleased with this bottle. I've taken to tasting at least 3 separate occasions before commenting now. This is a spirit which appreciates some breathing by a newly opened bottle. The freshly opened spirit seemed a bit harsh, but a day later was living up to the reputation of a great VSOP. The nose is complex, but interesting. On the palate, I easily detected the fruitiness for which the terroir is famous, and the finish was very smooth but not as long as XO Cognacs. Overall, an excellent buy at the price asked for such a distinctive spirit. One of the best VSOPs I've experienced. Would pair well with dark chocolate. Main ingredient of turkey recipe. Turns out that this cognac was pretty delighted to be the guest of our cognac cream sauce for oven cooked turkey. Also, used the last drops as appetizer. PRO: Cheap, the nose is pretty interesting, but the actual taste (or palate) wasn't that great, maybe due to turkey smell in the kitchen.